Free Hat Giveaways for Canada Day and Independence Day! Come and join us at Four Kings this weekend as we celebrate Canada Day and Independence Day long weekends with nationally inspired FREE HAT giveaways. Don’t miss out! These exclusive items are only available for those who log in this weekend! 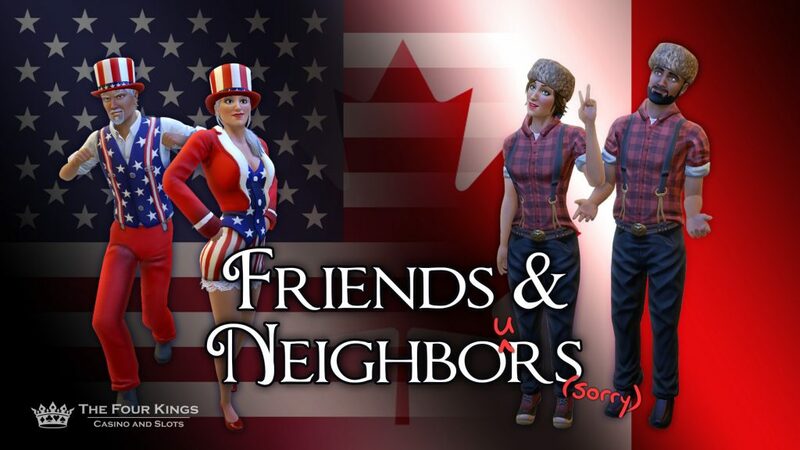 Also From July 1st to July 14th players will ALSO be able to purchase a Canada Day Lumberjack Outfit and Uncle Sam Costume in the Crown Jewels store. These outfits are only available for two weeks!